"As always, everyone is very helpful, informative and responsive. This time, we made the reservations relatively close to our departure date, so the quick response and information was appreciated. 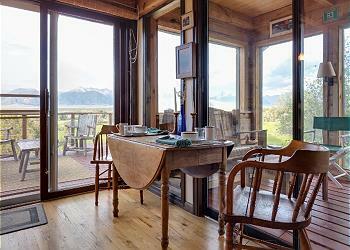 Easy to use your website for making reservations or even just choosing a cabin to rent (detailed information). 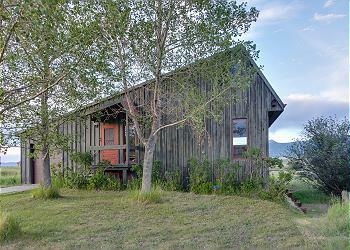 I have recommended Mountain Homes to many friends and coworkers. " 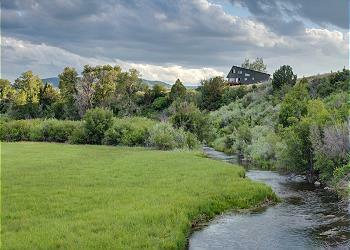 Lovely home overlooking Blaine Creek and the Madison River. Try a little casting in the Spring Creek's pool, right out the back door or take a five minute walk to the Madison River. This home has satellite internet available for guests. 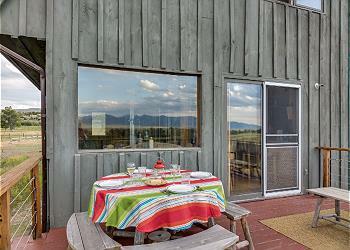 BRIEF DESCRIPTION: The Blaine Creek Home is a passive solar home with great views. 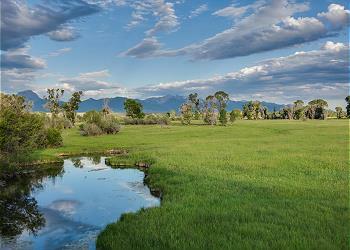 Blaine Spring Creek is on the property, and it is just a short walk to the Madison River. 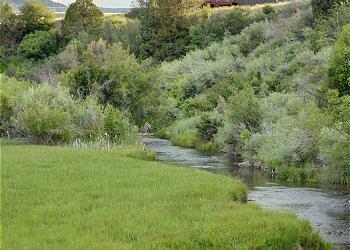 The rural, streamside location is wonderful for wildlife viewing and excellent for fishing. 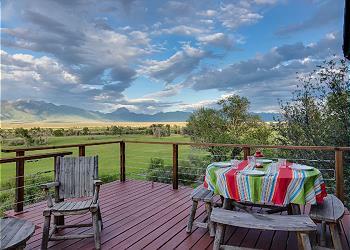 From the back deck of the home, you have incredible views with the Madison River winding its way across the valley. 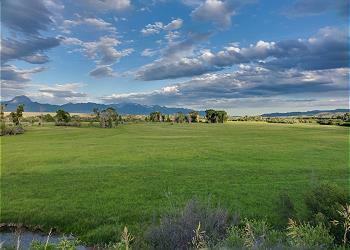 The wide open valley views are complemented by the magnificent Madison range. It's truly a magical spot! 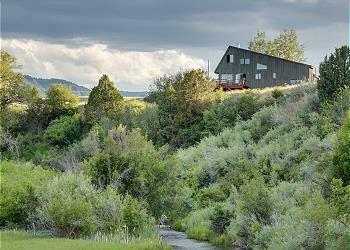 GENERAL LOCATION: This home is located at Varney Bridge in the Madison Valley, between the towns of Ennis and West Yellowstone, Montana. 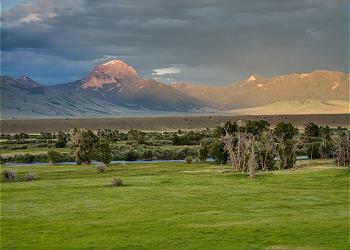 It is approximately 10 miles from Ennis, and 50 miles from West Yellowstone. BEDROOMS AND BATHS: Blaine Creek Home has three bedrooms, a loft sleeping room and two full bathrooms. The downstairs level of the home has three of the bedrooms, with a king size bed in one room. The other two bedrooms each have two twin beds. One full bath with a beautifully tiled shower is located out in the hall and shared by these three bedrooms. 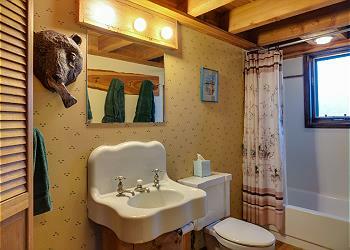 The second full bathroom is located on the main level of the home, off the living area. Up above the living area is a lofted den that has a sleeping room off to the side. This bedroom is a bit reminiscent of an attic, but it is neat and tidy with two big windows and includes a full size bed. KITCHEN: The kitchen is fully equipped with all the amenities and nice serving ware. There is an electric range and oven, microwave, toaster and all the cookware and serving ware that you will need. There is a dining area which will seat up to six. LIVING ROOM: The comfortable living room has plenty of seating for gathering to talk over the day's adventures. 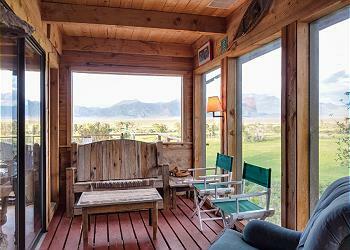 Guests also enjoy gathering on the glassed-in sun porch to take in the views of the valley and mountains. Bird feeders just off the porch invite a wide range of bird life. 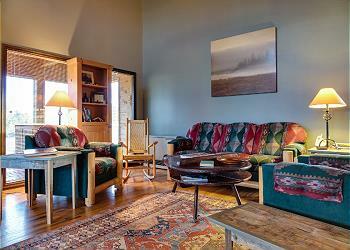 The lofted family room up above, accessed by a ladder, has a sofa and chair and a small television with a VCR player. It's a great place to read a book or take an afternoon nap! OUTDOOR AMENITIES: The home has a large deck overlooking the valley where you can relax and take in the views, or cook up dinner on the gas barbecue grill. SERVICES AVAILABLE: The rental rate includes an end-of-stay cleaning. Guests staying two weeks or longer will enjoy a weekly "spiff up" cleaning during their stay. Additional housekeeping can be arranged with a bit of prior notice. 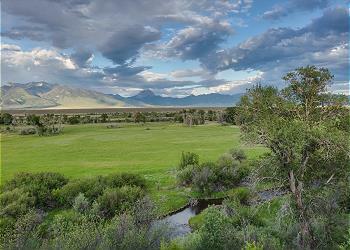 ACTIVITIES NEARBY: Fishermen will have plenty of choices of where to go: Blaine Creek, the Madison River, Yellowstone National Park and Henry's Fork of the Snake River. 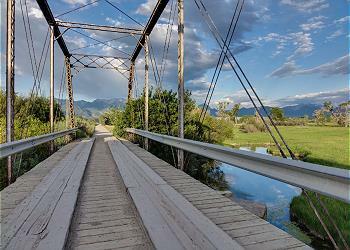 Other great activities include hiking, mountain biking, exploring Yellowstone National Park, shopping and dining in the little town of Ennis, and visiting nearby ghost towns. There is so much to do! Loved the fully equipped kitchen. The view was amazing! So many great books and fun games provided! Thank You Mountain Home!! We were glad to be your guests. Hi JoAnn - We're so happy that you enjoyed your stay at Blaine Creek. It's a great location and the house is so cozy. Please come stay again sometime! A wonderfully well equipped home from home. Fantastic views from the kitchen/lounge and balcony/deck. Very quiet but only 10 minutes away from Ennis town centre. Only gripe was that the advertised fishing in the creek at the bottom of the garden was not possible due to the slippery steep access and also the very overgrown banks. The photos of the creek were taken from the opposite bank on private land which is a bit naughty! Thank you for your review of Blaine Creek Cabin! We are glad you enjoyed the home and we thank you for the feedback on the fishing access. We have since worked with the homeowner to make sure the access point is more maintained for easier guest use! Thank you again and we hope to have you as our guests in the future!